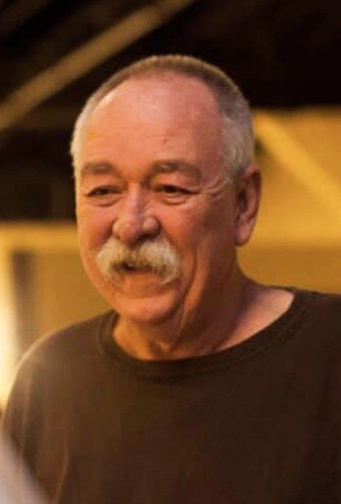 Ricky "Rick" Perry Hamberlin, of Beaumont, Texas, passed from this life on March 30, 2019. Rick was born in Alexandria, Louisiana, on December 23, 1950, to Virgil Perry and Lucy Essie Lee Peavy Hamberlin, who preceded him in death. Rick was well known for his love and knowledge of exotic plants and animals. As a musician, he toured the country playing piano and percussion for The Wild Childs and hosted a long-running radio show on KLVI. Rick marched to the beat of his own tambourine, and his irreverent, novel sense of humor endeared him to family and friends. He is survived by his partner of 38 years, Doug Oldbury; his sister, Alice Hamberlin Hawkins and husband, Steve Hawkins; his nephew, Brian Bourque; nieces, Megan Bourque Mouton (Jeremy), and Madison Hamberlin; great-nephew, Blake James Mouton; and a beautiful, if grumpy, Scarlett Macaw, Roscoe. A private memorial service will be held at a later date with performances by Bon Jovi, Cher, and Bette Midler. His cremation arrangements were handled through Broussard’s Crematorium under the direction of Broussard’s, 1605 North Major Drive, Beaumont. Rick had a wonderful sense of humor. He was such a source of inspiration. Someone with his health problems was continually seeking ways to get other people to laugh and enjoy life. He was such a boost to my father after my dad's second wife died. He will be missed greatly. I hope I can have his attitude toward life when my health starts to fail. Rick was a good friend. So sorry for your loss. I have known Rick since M&D. Days. He stayed a friend ever since. I considered him one of my good friends. He was a wonderful kind human being. We sure miss him. Love Katie and Barbara. My sincerest condolences. I've known Rick for 27 years though the dental office I work at. He was a wonderful, kind patient who was always giving me and everyone at the office advice about our plant questions (and there where many). He will truly be missed. Doug, Rick was a great friend to me. RIP, my good friend. See you on the other side Rick. RIP brother..
I’ll remember you as a good man, and a good boss for one of my earliest jobs. You and Doug were fun to work with, and I appreciate the time and patience you both offered a young man. A sense of humor like no one else, always picking on you and with a smile and laugh. Always adored you both and thought the world of you two. May you find peace and comfort. I will see you again some day my friend, be ready. Wesley and I are so sorry to hear of Rick' s passing. Wesley enjoyed the many times he was able to talk to him but we know he is now in a better place. Our prayers are with your family. Doug, so sorry for your loss. Rick was a special friend. Prayers for his family.